Written by Davina Montgomery on 28 March 2018 . Twice-daily flights from Avalon will export around 14,000 tonnes of fresh produce to Asia each day. Malaysian entrepreneur, Tony Fernandes, purchased the airline in 2001 for 34 Australian cents. AirAsia’s KLIA2 terminal is nine-times the size of the entire Kardinia Park precinct, including the stadium, netball complex, cricket grounds, parks and playgrounds, and the pool. It’s massive. For Justin Giddings, CEO of Avalon Airport, the realisation of Avalon becoming an international airport has been a nine-year journey. For the airport’s owner, Lindsay Fox, it has been twenty years and counting. The trucking magnate, a wily larrikin with a track record of out-foxing the competition, saw an opportunity back in the 1990s to get in on the ground floor of what he figured would be a future boom in the export of fresh Australian produce. In 1997, he purchased 1840-hectare airport in partnership with British aviation firm Serco and later bought out Serco’s shares. And the AirAsia announcement of the commencement of international flights from Avalon Airport is the second big step in those plans coming to fruition. The first step was the approval of the Avalon Airport Master Plan by the Department of Defence in September 2015. Without that approval, there would be no international air travel of people or freight from the airport. It was big news, the announcement of the agreement that the low-cost airline would be relocating its international flights from Tullamarine to Avalon in the middle of 2018. But what was largely overlooked in the excitement over plane loads of tourists and visitors from Asia landing on Geelong’s doorstep was that AirAsia isn’t just a fast-growing airline, it is a fast-growing airline with a business model built on filling the cargo holds with fresh produce. Twice daily flights will see up to 14,000 tonnes of fresh produce leave the tarmac at Avalon bound for Kuala Lumpur and on to destinations across Asia every day. Passengers help to pay for the cost of airfreight and airfreight helps to pay for the cost of transporting passengers. That’s one of the big reasons low-cost airlines have lower ticket prices, and why AirAsia has succeeded where other low-cost carriers have failed to gain traction in the market. The 2015 Avalon Airport Master Plan foresaw the need to move quickly once an airline had been secured to fly from the airport, and Mr Giddings said those fast-tracking measures are now being relied on to have the new terminal built and flights commencing by the end of the year. “Under normal airport regulations, it takes about twelve months to get planning approval to build a new terminal; but we, because of our Master Plan and a few other things, have been able to fast-track that. We don’t need that planning approval now, which is really important,” he said. The strategy for Avalon has always been to secure the airline deal first and build a terminal that is fit for purpose, reducing the risk of a facility that would be either not big enough to cater for the demand or so big that it would be under-utilised. “Avalon is certainly the first airport in Australia, and maybe even in the world, to become an international airport in this manner,” Mr Giddings said. It has, so far, been a neat fit. AirAsia is a relatively new player in the USD$664.4 billion global airline industry. Yep, that’s right, a combined 3.78 billion passengers and 52.7 million tonnes of cargo (*source: Aviation Benefits Beyond Borders) supports over 63 million jobs and adds over half a trillion in greenback to the global economy. Is it any wonder that disruptors like AirAsia wanted to get in on the action? And while the mass movement of people is the obvious market in all this, it’s worth noting that, worldwide 52.7 million tonnes, or a third of the goods traded internationally, are transported to market in the belly of a plane. “Being able to bring freight from this region, in particular, throughout Asia through KL is just huge. It’s not like a point-to-point flight; you can check through and go on elsewhere very easily, so it’s been fortunate,” Mr Giddings said. 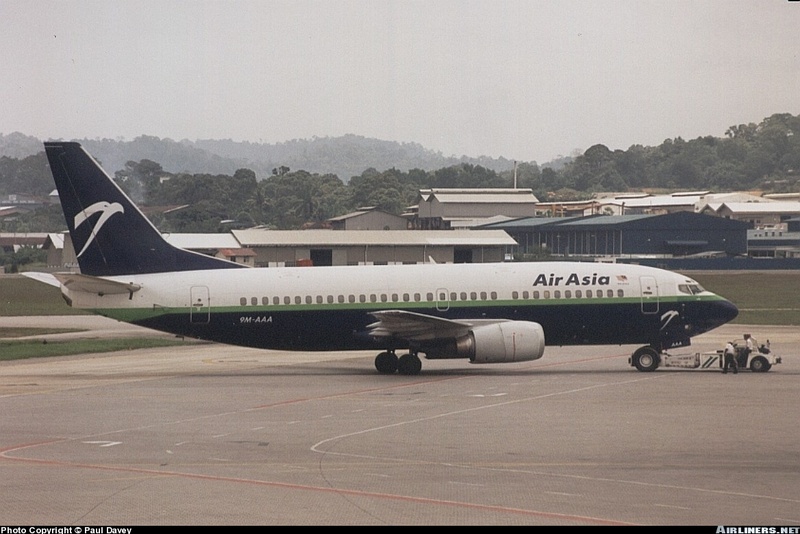 The airline was formed by a Malaysian conglomerate in 1993 and began operating in 1996. It certainly wasn’t clear air flying in the beginning, and by 2001 the airline was heavily indebted and struggling to survive. The airline was purchased by Malaysian entrepreneur, former music executive (what is it about music industry types and airlines?) and Tune Air Sdn. Bhd. founder Tony Fernandes for a single Malaysian Ringgit (RM) – roughly 34 Australian cents. Taking on RM40 million in debt, Fernandes turned the minnow of an airline around in less than a decade to become a regional powerhouse with 200-plus aircraft and 120 destinations across Asia and the Middle East. The airline flies into cities far too numerous to name across a countries list including: Malaysia, Australia, New Zealand, Thailand, Indonesia, Philippines, China, India, Saudi Arabia, Brunei, South Korea, Sri Lanka, Vietnam, Bangladesh, USA (Hawaii), Nepal, Laos, Myanmar, Maldives, Cambodia, Iran and Japan. That is a lot of export marketplaces. And most of the goods (and people) being moved travel through the new Kuala Lumpur low cost international terminal, known as KLIA2, the airline moved into in May 2014. The terminal has 80 gates and is a whopping 257,000sq. metres in size. To put that in perspective, that’s 9-times the size of the entire Kardinia Park Precinct, including the stadium, the two outside ovals, netball complex, pool, senior citizens, parking, playgrounds and BBQ areas. All of this is keeping the good folk at Avalon and Linfox extremely busy, as along with all the requirements of building and putting into service an international terminal, and relocating AirAsia’s operations in Victoria, are serious talks underway between the region’s producers, the airline and the airport management. The push is on to attract exporters of fresh produce across the state, and the seafood, dairy, fruit, veg and fresh meat exporters will be fielding calls. You can find out more about all the developments underway at the April 11 Geelong Business Network breakfast, where Avalon CEO Justin Giddings will be presenting on ‘Geelong’s Great Game Changer’. Visit geelongbusinessnetwork.com.au to find out more and book before it’s sold out.